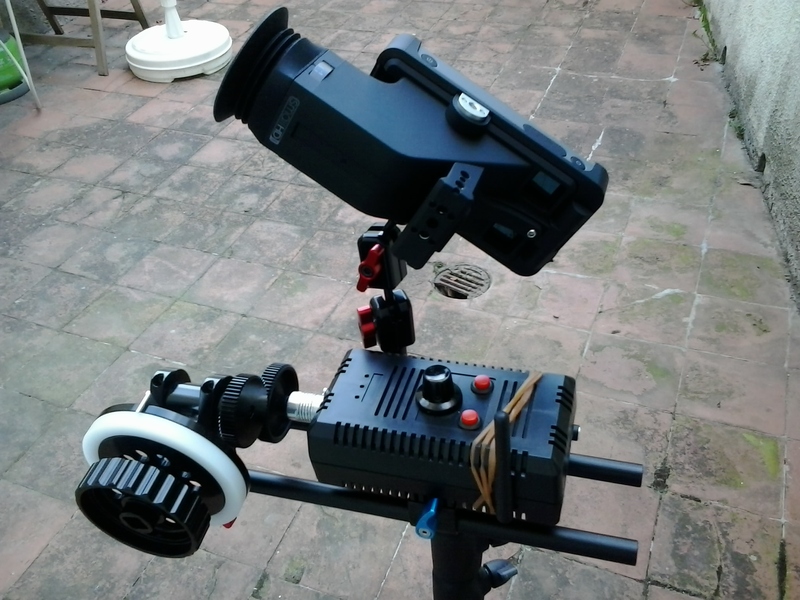 For several months now, I’ve been developping a wireless follow focus and here is how the first prototype look like. The receiver is made in two parts : the motor controller and the motor. Both can be mounted on 15mm rods. I’ve chosen a stepper motor for it’s high resolution and the ability to repeat focus marks very accurately. The stepper motor is driven by a SilentStepStick which allow very quiet operations and save the battery when the follow focus is on but don’t move. In general, this follox focus is almost completly silent at low and medium speed. It get a bit noisy only at high speed. The motor provide enough torque to be able to rotate photo lenses (and rokinon cine lenses) at any speed. For now, I didn’t test it on bigger cine lenses by I’m guessing that it will work just fine. The wireless transmission is made possible by a couple of Nordic nRF24L01+ + PA + LNA which give a stable transmission on long distance. It give a stable connection at around 30m (didn’t test yet for longer distances) and go through a wall very easily. I have not experienced any delay (measured response time is always less than 100ms even at 30m distance). Otherwise the follow focus has electronic marks and adjustable speed. The transmitter can be mounted on a tripod and has a system of 15mm rod to mount the battery and accessories (monitor, wireless video receiver, …). Both the transmitter and the receiver can be powered by a jack 2.5×2.1mm connector between 8V and 12V. In particular, it can be powered by a LP-E6 battery for light setups. 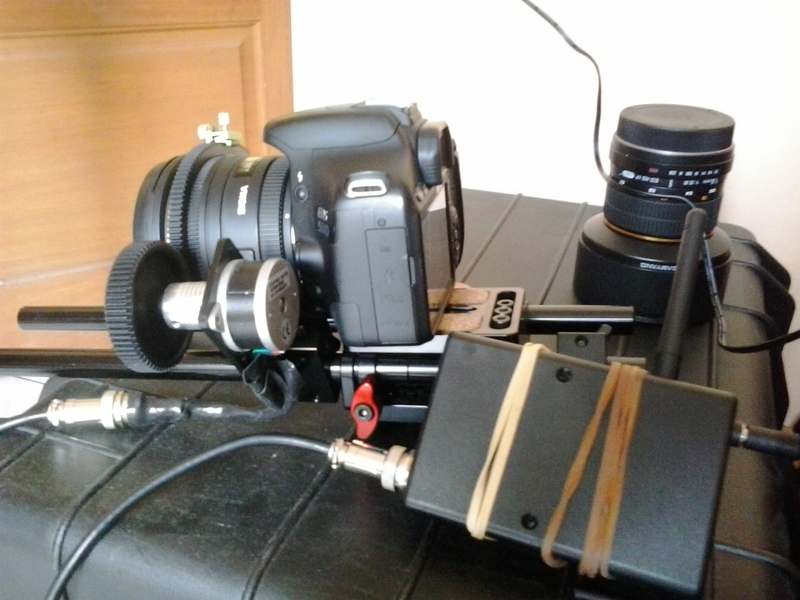 The higher the voltage, the higher the torque of the motor will be (it work fine on rokinon cine lenses at 8V). Ces oeuvres sont mise à disposition selon les termes de la Licence Creative Commons Attribution - Partage dans les Mêmes Conditions 3.0 France.